We bring to you a superior range of Ebonite Rubber Rollers which has earned high accolades from the customers and is endorsed to be exclusive and matchless. 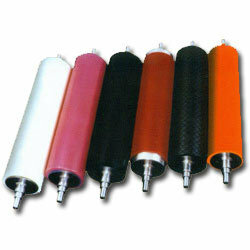 This range of Ebonite Rubber Rollers finds immense usage in various industries. Ebonite Rubber Roller is offered to the clients in rock bottom prices and within a stipulated time frame. Our Rubber Industries is capable of manufacturing Ebonite Rubber Rollers. Our Ebonite Rollers can withstand high temperatures of steam and water. Ebonite Rollers are used in superior engineering and it function more smoothly in varied applications. Ebonite Rollers are crucial and primary spares for web expansion control. 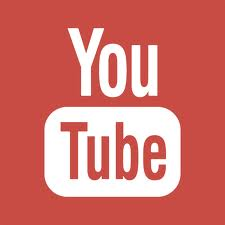 They are vital and most important equipment of the process of every machine. Several things like even surface, appropriate material of covering according to the application, consistent hardness over the surface along with perfection workmanship play vital role in the performance of the Roller. Ebonite Roller a very resilient and finest product among our top products. It is made from very excellent and high strength material which does not crack or damaged easily. It is used frequently by industries for good chemical resistance. Ebonite Roller Manufacturer are made from superior quality material so it can endure in high temperature of boiling water and steam Non-stick surface releases tacky materials that can cause wrap-ups at high speed. Hard non-porous surface resists pinholes and early failures, which has similar capacity to rubber and epoxy.